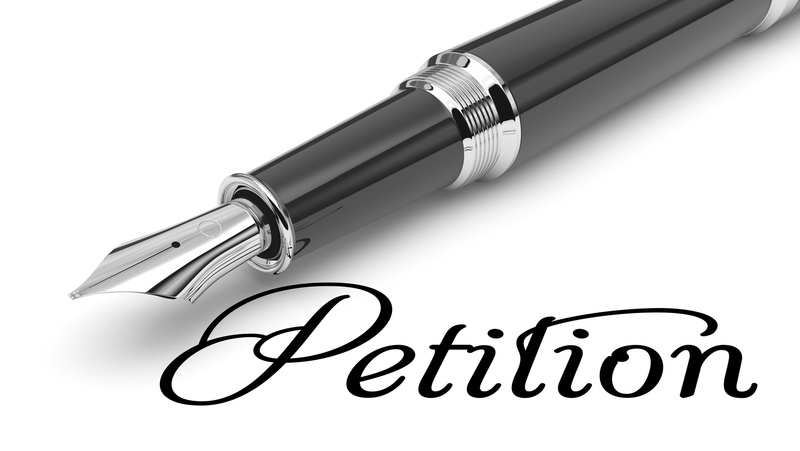 We have all seen groups asking for signatures on a petition. Usually, this is a local cause, like save a particular tree or building, or maybe a business wants to expand or do something that isn’t a detriment to a community but does technically violate zoning laws. There are also various online petition pushers, like change.org, that are handled by activist groups or organizations working towards a greater agenda. The most well-known of these online petitions is the We the People petitioning system set up by the Obama White House. The basic idea behind it is that if a cause can garner 100,000 signatures within thirty days, it will get an official response from the White House. And it has stuck around since the 2016 election, in case you were wondering. How hard is it to petition? Petitions aren’t always an easy thing to do. An individual or group who is circulating one has to basically go on a marketing campaign to get the word out and drum up some signatures. For a national level petition, it takes a ton of web and social media savvy to let people know what you're doing and even then, having them fill out their name, address, and email is asking a lot. A bit of web savvy can help with local drives, but those are more about pounding the pavement and finding willing and passionate volunteers to ask people to sign on. After that comes sorting out the legitimate signatures from all the jokers who wrote down Jack Mehoff and Seymore Butts. So, what will a petition do? That depends. Ones started on a local level can produce real and measurable results, like saving the proverbial tree. It can land an issue on a ballot for a referendum, or even trigger an automatic change in policy like removing cats from a town’s list of inherently evil animals. At the very least, it can give the politicians an idea where the voter’s priorities lie. If ten thousand voters in a town of 150,00 residents sign something, the local leaders will take notice. Petitions on a national level tend to have a little less influence. Take We the People for instance. One hundred thousand people out of a three hundred million plus population isn’t that much. Also, the politicians in Washington aren’t so inclined to listen to the sort of voices who use petitions because if those people had real support, they would be able to hire a lobbyist or gain influence by starting a special interest group. It sounds cynical, but it is the truth. That doesn’t mean a petition can’t be used to help get attention on a more national issue, like easing the burdensome regulations craft distilleries are forced to live with. Headlines can bring money and support to a cause, which is what is needed if we are talking about changes on a federal level.